Totally Plastered - Plasterer based in Oxford , Oxfordshire . 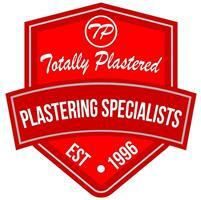 We are a firm called Totally Plastered! Our company goes that extra mile to ensure that the client and ourselves are happy with everything. We also put a lot of time and effort into our new recruits to train them in the highly skilled trade of plastering, with the same finish and mind set as their teachers ..
Sky light all two coated for a skim finish.